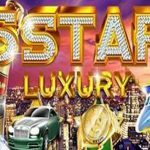 One of the most common types of features out there in the online slot world, and one that’s so popular that most people take it for granted, is the wild symbol. 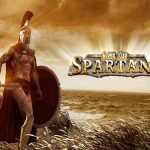 It’s a staple of modern online slots, and there are plenty of variations on it, one of the most popular of which is the sticky wild. 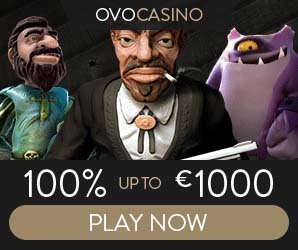 Online slots with sticky wilds tend to get popular very quickly and develop a following because they are the perfect complement to a particular style of gameplay. We’re going to break that style down here, show you the different types of sticky wilds you can run into and take a look at some of the most popular games that use this feature. The basic idea behind a sticky wild is that, once it lands in place on a regular spin, it stays on the reels for a number of spins after that. It essentially multiplies the value that you get from the wild in the general sense because you get the same wild in the same place for multiple spins. However, it actually gives you more value than that in specific cases because it makes it easier to have multiple wilds on the reels for the same spin because they stick around for longer when they show up. There are a few variations that you can have on sticky wilds to mix things up. An example of this is a walking or shifting wild. They work just like sticky wilds, except on each subsequent spin, they shift one square in a particular direction, usually to the left. It’s as if they are a sticky wild that changes position from spin to spin, and because wilds further to the left tend to give you more value in most games (since they help create more winning combinations), they have a little more value than regular sticky wilds. The crux of the issue with sticky wilds is that they put a lot of value into one place, which automatically raises the volatility of a slot machine. In this way, they are usually a part of titles that have a particularly high volatility in terms of play style, and games that have sticky wilds almost always have a top-heavy pay table as well. 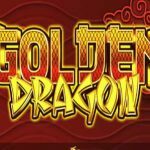 If you’re a fan of slot games with chances to win big payouts, especially combination wins, then slots with sticky wilds will most likely appeal to you a great deal. With that having been said, you’ll need to be careful about the bet sizing you choose because the swings will be more severe than the average slot. If you play with a somewhat smaller bet size than you normally use, however, then you shouldn’t have any problems whatsoever. Now in what follows, we’re going to take a look at some of the most popular games in the industry that use a sticky wild feature. 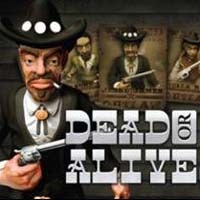 Dead or Alive is a slot by NetEnt that has a wild west theme. The idea is that there are different bad guys with wanted posters, and you’re out to find them. You’ll see a wild west town background behind the reels filled with cowboy boots, cowboy hats, sheriff’s badges, wanted posters and other symbols that fit the motif. As you might have guessed, this is a high-volatility game as well. Sticky wilds come into play in this game during the free spins. If you get three or more of the scattered pistols symbol, then you’ll earn 12 free spins. While your winnings are hit with a 2x multiplier, you also get sticky wilds the whole time in the form of five different wanted posters, and they stay on the reels for the entire rest of the feature. What’s more is that if you’re able to get a sticky wild on all five reels, then you’re awarded an extra five spins, and this is obviously where the majority of the value comes from in this game. The three biggest payouts in this game are 2,500x times your total bet for five of the scattered pistols, 1,500x line bet for five wilds and 1,000x line bet for five of the sheriff’s badge. As you can see, there are several high-end payouts, and this contributes further to the high volatility of the game. 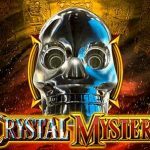 Dead or Alive is one of the highest-volatility slots you can find that does not have a progressive jackpot, and NetEnt crafted it to be that way with sticky wilds playing an important part in the whole thing. Obviously based on the fairy tale of Rumpelstiltskin, Rumple Wildspins by Novomatic is all about the gold that the princess was trying to make for the jerk who wanted her first born child. It has pretty solid graphics and 20 paylines of action across five reels and three rows. As you probably suspect from our discussion of play styles, this game also has a particularly high volatility, and it’s a title that you’d want to play with a smaller bet size than usual as a result so that you can smooth out the swings as much as possible. The frog is the scatter symbol in this game, and it plays an important part in the story. Get three or more of this symbol to activate the free spins. Players get 15 free spins at a time, and during those free spins, you’ll have sticky wilds. 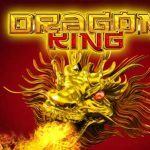 The basic idea is similar to Dead or Alive above where a ton of value is held up in the bonus feature, but when you trigger it, you have really good chances of running up some impressive payouts. The top jackpot in this game is worth 10,000x, and that’s in line with what we’ve talked about above with games that use this feature having a tremendous volatility. There’s a bit of a drop-off from there to the next-highest wins, and that’s a good example of how sticky wilds can cooperate with a payout structure to help kick the volatility of a game into overdrive. While there are a number of hits that happen at lower levels that will keep your account balance afloat somewhat, you shouldn’t bank on that because there aren’t very many medium-level wins to give you the boosts you’d really need to sustain that for the long run without nailing some big payouts, so keep your bet sizes on the smaller side when you play this game. 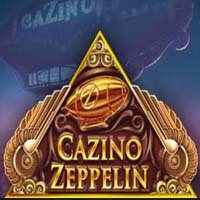 Cazino Zeppelin is a fun video slot that uses a steampunk theme. As is the case with most Yggdrasil titles, the game has a great combination of solid graphics and a strong level of gameplay. In the background, you can see a Zeppelin airship, which makes sense because that is one of the main sources of long-distance travel inside of many steampunk worlds. As is the case with the previous two titles we have looked at, this game has sticky wilds during a free spins bonus round. If you get three, four or five of the free spins scatter symbol, you’ll earn 10, 15 or 20 free turns. Any wilds on the screen whenever the free spins start will remain sticky for the entire time feature, and all wilds become sticky that you get during the feature itself. 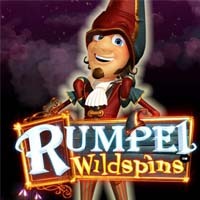 You can end up with wilds on every reel, and if you do so, then you are awarded an extra five free spins. There are a number of things in common with this game and the other two we have looked at, so you can start to see some patterns with how sticky wilds are used. The theme we have looked at here is a high volatility. With Cazino Zeppelin, the volatility is slightly stunted by the fact that there are only eight paying symbols, which makes hitting winning combinations a bit easier. The top two payouts are 2,000x line bet for five of the orange man and 1,000x line bet for five of the green man, so they aren’t so high that they skew the pay table too much. However, the overall volatility is still fairly high, and you’ll need to adjust your bets sizes accordingly. 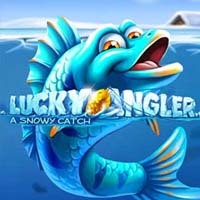 Lucky Angler is a fishing-based online slot that is set in the arctic. You’ll see all kinds of fish, in addition to some old boots, on the reels, which are situated in an ice fishing type of situation. This game has 15 paylines with five reels and three rows, and the graphics are at a high level, as you would expect from NetEnt. It’s a little different in how it works compared to the other titles in this group, and that leads to a lower volatility than most games that have a sticky wild. The sticky wild in this game is the golden fishing lure. It shows up on the second and fourth reels during the game only. It’s important to note that the paylines pay both left-to-right and right-to-left in Lucky Angler, so this symmetrical approach to the sticky wilds makes sense. During the free spins, you’ll also get sticky wilds on the middle reels as well. They will always stay in place for the next spin if they are a part of a winning combination, and they will continue to stay in place as long as they are part of winning spins. The way these sticky wilds are handled does two things. First, it keeps them on the reels for less time than you see with most other games. However, it also keeps the volatility a bit lower, and the overall volatility for this particular slot is actually at a medium level as a result. For players who might want to try out a sticky wild game without having to deal with a very high volatility, this is as good of an option as you’ll be likely to find anywhere. The Girls With Guns series was designed to give an action hero experience to players with female protagonists and antagonists. The end result is that there are a total of seven female characters who make their way to the reels in the second edition of this series, and they make up all of the important symbols. As is the case with most of the games we’ve looked at as well, the sticky wilds show up in the free spins bonus feature. 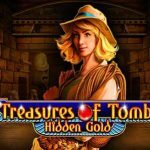 The key thing to understand about this game is that you can pick up 12 free spins with one of two types of wild features. One of those is called frozen wilds, and it gives you a chance to turn an entire reel wild for the remainder of the free spins. It’s a little bit of a twist on the sticky wild concept, but it works out in the exact same way. As you can imagine, it also increases the volatility a whole lot, but a lot of that has been toned down with how the pay table was set up for this particular slot. Because all of the character symbols have importance in this slot, they have fairly similar payouts at a medium-high level. The scatters have a higher win value, but with this being a 243-ways format game, you’ll have multiple things going to keep the volatility in check. 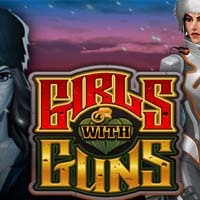 As a result, Girls with Guns II: Frozen Dawn has a medium volatility as a whole, and it’s a great game for players who want to experience sticky wilds without them being the only feature that dominates the overall gameplay. 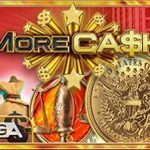 It’s also a solid option by Microgaming in general because they have jam-packed it with other types of features and solid payouts.